The Ocean-Climate Declaration of Dakar is a voluntary initiative of research and higher education institutions, programmes and projects, that aims to promote actions particularly by the Sub-regional Fisheries Commission, the Ministerial Conference on Fisheries Cooperation among African States Bordering the Atlantic Ocean (ATLAFCO), the Abidjan Convention, the Economic Community of West African States, the Arab Maghreb Union, the Economic and Monetary Union of West Africa, the European Commission and the United Nations, on issues related to climate impacts on the marine environment and fishing. Initiated in early 2015 and in preparation towards the Paris Agreement, the content of the Draft Declaration was considered by the Session “Law of the Marine Environment” of the 2nd International Conference AWA (ICAWA), and then validated by a committee of dedicated experts during the conference itself, before its presentation to the press. Download the declaration (French and English): Ocean-Climate Declaration of Dakar. UBO (Université de Bretagne Occidentale) and IRD (Institut de Recherche pour le Développement) organize a workshop on “small-scale fisheries in the South” during two days (June 25th and 26th, 2018) at the European Institute of Marine Studies, Plouzané, France. The workshop, in French and English, will gather researchers, managers, financing and training institutions dealing with small-scale fisheries. During these two days, current research in small-scale fisheries in the South and the associated issues for a sustainable development will be discussed through keynote interventions, exchanges on lessons learned from past experiences and on research findings (PREFACE, AWA, …), and participation to social events. 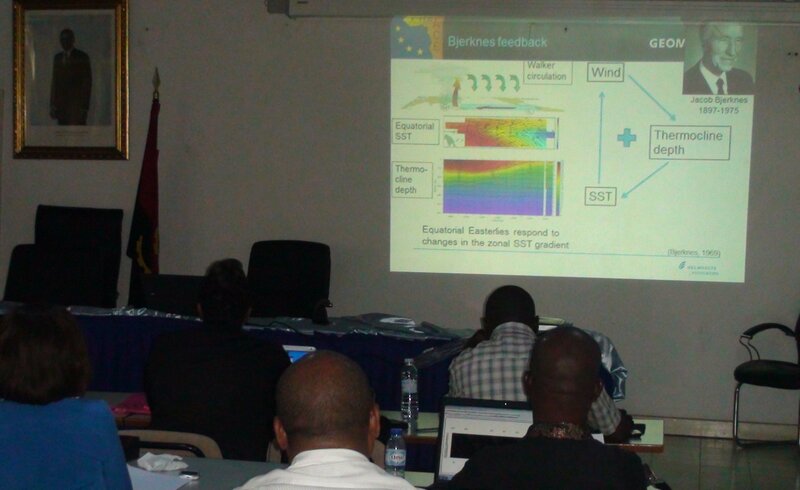 A workshop on Marine & Atmospheric Sciences in West Africa was held to celebrate the inauguration of the newly launched Ocean Science Centre Mindelo on São Vincente, Cape Verde. For the occasion, PREFACE organised a side-event with joint Policy Session together with the 4th Edition of the ICAWA, International Conference of our associate project AWA “Ecosystem Approach to the management of fisheries and the marine environment in West African waters”. The PREFACE project is extremely grateful to the workshop coordinators for this unique opportunity to further contribute to discussions on the current state and future perspectives of marine and atmospheric research and academic education in West Africa, and to join forces on establishing and strenghtening a larger international network on the subject. To read more about the workshop, see the Concept Note. The ICAWA 4th Edition and PREFACE side-event agenda can be viewed here (pages 3-5): Workshop Detailed Agenda. Click here for access to workshop Abstracts, Presentations, Reports and Photos. The three-day High-Level Ministerial and Scientific Event A New Era of Blue Enlightenment celebrated the milestone signature of the Belém Statement on Atlantic Research and Innovation Cooperation. In line with the previous Galway Statement on Atlantic Ocean Cooperation (which focused on the North Atlantic), the Belém Statement launched the South Atlantic Research and Innovation Flagship Initiative between the EU, Brazil and South Africa. Stakeholders from over 25 countries were there to support the initiative to deepen scientific knowledge of marine ecosystems and better understand the links between oceans and climate change, oceans and food, and oceans and energy systems, as well as the dynamics of the Atlantic Ocean and its interconnected circulation systems from pole to pole. The Belém Statement aims for a tighter link between research activities in the South Atlantic and Southern Ocean, but also with those in the North Atlantic, exploring synergies with other initiatives to tackle together the grand challenges and opportunities of the Atlantic Ocean as a system. Peter Brandt (GEOMAR), PREFACE co-coordinator and Core Theme 2 leader, and Heino Fock, PREFACE WP12 leader represented the PREFACE project at the side event organised by our colleagues in the EU funded H2020 project AtlantOS, which focused on “Building an Atlantic Ocean Community: Project and Ideas Meeting Place” and was entitled: Connecting to better observe the Atlantic Ocean. PREFACE WP3 leader Bernard Bourlès was also present as representative of the PIRATA network, which PREFACE has contributed to with important new observations. The PREFACE community is looks forward to enhance collaboration across the tropical Atlantic and is confident these joint efforts will lead to a better understanding and management of the entire Atlantic Ocean system. See also: PREFACE in Brussels: Extending the Galway Statement on Atlantic Ocean Cooperation southward. Dr. Emilia Sanchez (CERFACS) was invited to present the PREFACE findings on “Model drift analysis to understand the causes of systematic errors in climate prediction systems” at the workshop organised by the WCRP-JSC/CAS Working Group on Numerical Experimentation (WGNE) and hosted by Environment and Climate Change Canada (ECCC) in Montreal. The principal goal of the workshop was to increase understanding of the nature and cause of errors in models used for weather and climate prediction, including intra-seasonal to inter-annual scales. Dr Aurore Voldoire (CNRM), Dr. Eleftheria Exarchou (BSC) and Dr. Romain Roehrig (CNRM) also attended to share results from the PREFACE WP6 “Coupled basin-wide processes determining the climatology” coordinated experiments. More about this workshop can be found here: http://collaboration.cmc.ec.gc.ca/science/rpn/wgne_wse/index-en.html. Following the Ocean-Climate Declaration of Dakar, and the CoP22 held in Marrakesh (Morocco) with the Ocean Day (2016.11.12), a side-event on “Africa in Action for Fisheries and Aquaculture facing Climate Change issues” was organised at the UN Ocean Conference in New York City, 8th June 2017. Patrice Brehmer, member of the PREFACE Scientific Steering and Executive Board and coordinator of its affiliated project AWA – Ecosystem Approach to the management of fisheries and the marine environment in West African waters, was among the co-organisers and presenters. The event ended with closing remarks by Mr. Árni Mathiesen from Food and Agriculture Organization of the United Nations at Fisheries and Aquaculture Policy and Resources Division. The main conclusions is that “There is a great potential for Blue Growth in Africa with fundable projcts” (M. Mathiesen, FAO). The PREFACE team and SACUS colleagues are met with a grand reception at the port of Luanda (Angola), before sailing off into the last week a very successful research cruise. The organisation of the reception was only possible thanks to valuable support from INIP and the German Embassy in Luanda. The crew could welcome aboard the Minister for Fisheries, Dra. Victoria Barros Neto and the Minister for Science and Technology, Maria Cándida Teixeira, and the state secretary for aquaculture, Dr. Carlos Martinó Cordeiro (Photo in Events Gallery. From left: Captain Rainer Hammacher, Dra. Victoria Barros Neto – Minister for Fisheries, chief scientist Peter Brandt, Maria Cándida Teixeira – Minister for Science and Technology, Rainer Müller – German Ambassador in Angola, Dr. Carlos Martinó Cordeiro – State Secretary for Aquaculture, INIP scientist Paulo Coelho). Correspondingly large was the interest by the media with several interviews given to journalists from press and television. “In her speech, Dra. Victoria Barros Neto pointed toward the importance of climate change, which represents a grand challenge for the socioeconomic development of Angola. The marine ecosystem has been threatened by the consequences of the phenomenon El Niño and the global temperature rise. The minister was pleased about the good collaboration with German marine research institutes and particularly thanked the German government for the support to investigate the dynamics of the marine ecosystem of Angola. After the welcome speeches, which were given besides the fishery minister by captain Rainer Hammacher and the German Ambassador, I had the possibility together with Paulo Coelho (INIP) from our crew to present our research topics and the work at sea. We have discussed the recent warming of about 1°C during the period from 1950 to 2010 in the waters off Angola during the winter period, but similarly the large interannual variability cause by the irregular occurrence of Benguela Niñas. Another point that might become important in the future is the reduction of subsurface oxygen in the oxygen minimum zone off Angola. Such deoxygenation was diagnosed from historical data for the last 50 years. The oxygen at the minimum in about 400m further decreased and the low oxygen zone rose toward the surface thereby shrinking the habitat of hypoxia-intolerant species and possibly leads to a reduction of biodiversity.” (excerpt from the weekly cruise reports written by chief scientist, Peter Brandt (GEOMAR)). To find out all about life aboard the Meteor and work achieved during the October-November 2016 research cruise, check out the weekly cruise reports here: Milestone 16. From 18-25 September 2016 in Qingdao (China), The World Climate Research Programme’s (WCRP) Core Project on Climate and Ocean – CLIVAR – organised the Open Science Conference “Charting the course for climate and ocean research”, inviting the international climate community to review the state of the science, prioritise international research plans and initiate new collaborations, thus shaping the international research agenda on the coupled ocean-atmosphere system. Within the session “3.2 Ocean and Climate Dynamics” of the conference, Noel Keenlyside (PREFACE coordinator), Ping Chang (member of PREFACE ESAP) and Peter Brandt (PREFACE co-coordinator) chaired a PREFACE poster cluster on “Tropical Atlantic Variability and Predictability”, which was well attended and provided fruitful discussions in the topic* (see Book of Abstracts, pages 423-432. To read more about the conference highlights, go to: CLIVAR news. * Context of session: Prediction of equatorial Atlantic variability and associated climatic impacts remains a challenge. There are changing views on the mechanisms for interannual variability, and how ocean dynamics modifies the large-scale thermodynamic ocean-atmosphere interactions. Further, our understanding of eastern boundary upwelling systems is growing through increased observations and targeted modelling experiments. The impact of mean systematic errors on variability and predictability remains to be understood. This poster session aimed to bring together research in this topic to identify current research gaps and future research directions. From 17-19 November 2015 in Dakar (Senegal), the project AWA “Ecosystem Approach to the Management of Fisheries and the Marine Environment in West African Waters” organised the second of two very successful international conferences: ICAWA. The ICAWAs, particularly the 2015 edition, which earned the “CoP21 event” label by the then French Minister of Ecology, Sustainable Development and Energy, has set the stage for a continued regular event in West Africa allowing both researchers and students working on the West African marine and coastal ecosystems to come together and contribute towards improving coastal and fisheries management, in synergy with all relevant stakeholders including high-level authorities. Importantly, it also led to the drafting of the Ocean-Climate Declaration of Dakar. As affiliated partner, PREFACE contributed to the ICAWA 2015 through participation in several sessions in the form of presentations of results from AWA-PREFACE collaboration, through endorsing the Ocean-Climate Declaration and through the side-event “International Working Group PREFACE: Bio-economic modelling of African Fisheries in the Atlantic”. For more information on the event and access to the many interesting abstracts, read the ICAWA2015 Book of Abstracts. The transatlantic Meteor M120 research cruise began on 17th October 2015 in Recife, Brazil and came to a successful close one month later in Walvis Bay, Namibia. Funded by PREFACE and SACUS (Southwest African Coastal Upwelling System and Benguela Ninos), the objectives of the M120 were to investigate the variability of eastern boundary current transport, water mass variability, and the propagation of coastal waves in the eastern upwelling regions of the South Atlantic. Additionally, the cruise focused on a quantitative understanding of the physical processes controlling the mixed-layer heat and freshwater budgets. The observational program was complimented by measurements of greenhouse gas concentrations of CO2, N2O, CH4 and CO2 isotopes and measurements of the atmospheric concentrations and size distribution of aerosols. Apart from the scientists from three German institutes (GEOMAR, IOW and MPI), two young researchers from the National Institute of Fisheries in Angola (INIP), two from the Niels Bohr Institute of the University of Copenhagen (UCPH) and one from the Institute of Marine Research (IMR) also participated in this cruise. The whole scientific team of M120 included 22 scientists and technicians, led by chief scientist, Marcus Dengler. To find out about the great work achieved during the October-November 2015 research cruise, check out the weekly cruise reports here: Milestone 14. Two summer schools on “Remote Sensing and its Oceanographic Applications” – a great success! 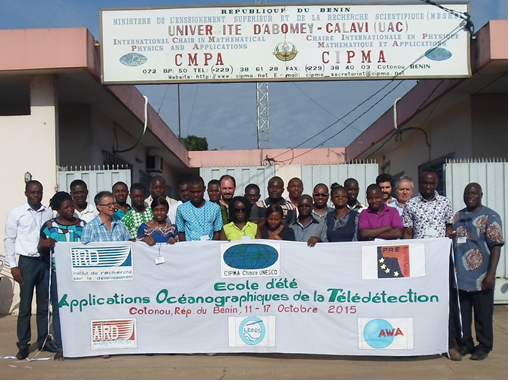 PREFACE scientists Ezinvi Baloïtcha (UAC) and Gael Alory (IRD) coordinated 2 summer schools on “Remote Sensing and its Oceanographic Applications” in Cotonou, Benin, from 18th to 24th October 2014 and 11 to 17 October 2015. The events were supported by the PREFACE and AWA projects. The main objectives of the summer school were to help African students and young researchers to strengthen their knowledge in satellite marine data and computer skills to exploit them, for capacity-building of oceanographic research in African countries. 2015: Lecturers, G. Alory (IRD/LEGOS), N. Djath (CNRS/LEGOS), F. Niño (IRD/LEGOS) and H. Demarcq (IRD/MARBEC), addressed the following topics: regional oceanography of the tropical Atlantic, data processing and visualisation with Python software, remote sensing of oceanic variables, including sea surface temperature, sea color, altimetry. The lectures were attended by 21 attendants from Benin, Togo, Nigeria, Ivory Coast, Senegal, Cameroon, and France. 2014: Lecturers, G. Alory (IRD), T. Okey (UAC), D.Dagorne (IRD), F. Niño (IRD) and H. Demarcq (IRD), addressed the following topics: regional oceanography of the tropical Atlantic, data processing and visualisation with Python software, remote sensing of oceanic variables, set-up of an EUMETCAST reception station, fisheries applications of remote sensing. The lectures were attended by 20 students from Benin, Togo, Nigeria, Ivory Coast, Senegal, Cameroon and Mauritania. In both summer schools, the attendants followed with great interest the different topics and returned home with more experience and skills in the field of remote sensing and its oceanographic applications. They also enjoyed a great social experience, including a visit to the historical city of Ouidah. 2015 Group Photo. Courtesy of Ezinvi Baloïtcha. 2014 Group photo. Courtesy of Ezinvi Baloïtcha. On 20th April 2015 at UCM (Madrid, Spain), the PREFACE TROPA (UCM, Spain) team met with Noel Keenlyside (UiB, Norway), Lea Svendsen (NERSC, Norway), Anna-Lena Deppenmeier (WU), and Roberto Mechoso (UCLA, USA) in an improvised workshop in Madrid. Firstly, Lea Svendsen showed results regarding the use of partially coupled experiments to constrain models to follow observational SSTs conserving the thermodynamic interaction. In their experiment surface momentum flux into the ocean is adjusted to follow observation anomalies. SST variability is reproduced, though there are some mismatches between model and observations over the South Atlantic and in the 1940s. Roberto Mechoso then presented a summary of the main biases of global Atmosphere-Ocean coupled models, highlighting the role of cloud cover and surface winds in the eastern Pacific and Atlantic basins, and on the location of the main inter-hemispheric energy intake into the climatic system. Regarding the role of ocean dynamics in TAV, Anna-Lena Deppenmeier characterised the Bjerknes feedback in CMIP5 models and observations, suggesting that the ocean subsurface to surface part of the feedback is not well reproduced in current coupled models. After a brief overview of PREFACE WP7, 8 and 9 by Noel Keenlyside, participants agreed on coordinating two types of experiments. On the one hand, a set of anomaly coupled experiments will be performed to try to understand the bias impact on teleconnections and the remote influence of biases. On the other hand, Lea Svendsen’s partially coupled experiment will be repeated with the UCLA+MIT model at UCM. Consequently later that year, the PREFACE UiB and UniResearch teams could welcome Elsa Mohino (UCM) for a 2-months visit. Her visit was supported by a grant from Iceland, Liechtenstein and Norway through the EEA Financial Mechanism (NILS mobility project), and the Bjerknes Visiting Fellow Programme grant (BCCR/SKD). The 2-month visit, with the main goal of jointly analysing coordinated model experiments using NorESM and UCLA models, was extremely productive. Dr Mohino contributed important analysis to diagnose impact of forcing errors and to improve the experimental design. The main focus of the visit was the analysis of an extensive set of decadal prediction experiments from the MPI climate model. A new framework was developed for understanding the sources of skill and errors in predictions of Sahel rainfall. This work will form the basis for a joint publication, and has also led to new ideas on how to enhance prediction skill. The activity is timely, as a set of decadal hindcasts extending back to 1900 will soon be performed with the Norwegian Climate Prediction Model. Two other activities were initiated: Joint analysis of the MJO impact on West African rainfall, and the impact of the background state on ENSO teleconnections. Dr Mohino also presented a talk at Geophysical Institute of University of Bergen on 17 August 2015 with the title: Impact of SSTs on Sahel rainfall at decadal time scales and implications for short term prediction. This research visit led to a planned future visit to UCM by Dr Keenlyside next year for concluding joint manuscripts. With the same grant through the EEA Financial Mechanism (NILS mobility project), PhD candidate Lea Svendsen (NERSC/UiB) then visited the PREFACE team at UCM (Madrid)for two months in September and October. During this visit coordinated model experiments with three different AGCMs, including both the NorESM and the UCLA model, were analyzed. The purpose of the analysis was to understand how the Atlantic Niño can impact the Indian summer monsoon, and if this relation depends on the mean background state of the climate. In addition coordinated experiments were planned with the corresponding coupled models of NorESM and UCLA, to investigate these teleconnection patterns further. It is clear this newly consolidated and extremely productive Bergen-Madrid collaboration will continue beyond PREFACE. From the 22nd to the 26th of June 2015, a PREFACE capacity building workshop took place at the Instituto Nacional de Investigação Pesqueira (INIP) in Luanda, Angola. INIP is the principal Angolan governmental research institution responsible for monitoring of the marine resources and ocean environment within Angola’s EEZ (Exclusive Economic Zone). In PREFACE, the INIP scientists, in collaboration with other PREFACE partners, lead analyses of the unique data collected by their institution during the past 30 years. The analyses undertaken are contributing to better understanding the interannual climate variability at the eastern boundary of the tropical Atlantic, where other data sources are scarce; they also aim to show how this variability affects fluctuations of small pelagic fishes, with a special focus on sardinella and horse mackerel – the critical food resource for coastal communities around western tropical Africa. The workshop was co-organised by two other PREFACE partners: GEOMAR, Germany and IMR, Norway. The four-day event began with lectures focused around the concept of Atlantic Niño climate pattern and how it influences the oceanic conditions in the Angolan coastal ocean including the impacts on marine resources. The lectures were followed by training in data handling methods to investigate the patterns and effects of tropical climate variability in INIP’s own oceanographic and marine resources dataset. These included, among others, water-mass analyses methods to study the time evolution of nutrient-rich central water masses on the Angolan shelf 1985-2015 and applications of geostatistical methods to study the time evolution in distribution patterns of small pelagic fishes observed during the same period. The workshop concluded with the participants (16 participants, 44/56 female/male gender balance) identifying joint presentations during the two upcoming events: the PREFACE-PIRATA-CLIVAR Tropical Atlantic Variability conference in Cape Town, August 2015 and the National Conference on Marine Research at INIP, Luanda, Angola, 28-29 September 2015. Workshop participants: Bomba B. Sangolay; Miguel André António; António Barradas; Rocha Camalandua; Paulo Coelho; Esmeradilna K.I. Costa; Virgilio Estevão; Silvana Faria; Marcelina Carla S.A. Fernandes; Stenia Marisa Macueria; Djamila Pedro Maurício; Catarina Ruby; Sonia Cristina P. Silva; Pedro Tchipalanga (INIP); Marek Ostrowski (IMR); Marcus Dengler (GEOMAR). On 15th April in Brussels (Belgium), an international science workshop was held, organised by KDM (German Marine Research Consortium), Ifremer (France) and the European Commission, as part of a series initiated by the European Commission the previous year on the North Atlantic, as a follow-up of the May 2013 Galway Statement on Atlantic Ocean Cooperation. The workshop’s aim was to map the current marine research effort, identify research commonalities and strengthen and develop international cooperation in the Central and Southern Atlantic system, with a particular focus on Brazil and South Africa. Upon invitation, PREFACE was able to attend, represented by Marek Ostrowski (IMR, Norway) and the presentation “Towards the Galway Vision of collaboration in the Eastern Tropical Atlantic?” in Session 2 “Cooperation between EU Member States, Brazil & South Africa: case studies”. In March 2015 a PREFACE WP13 workshop with 12 local experts on fishing communities (= the interviewers) was held at IRD Dakar, in cooperation with the AWA project. The workshop’s purpose was to further adapt the questionnaire for the socioeconomic survey and to train the interviewers. The questionnaires aim at deriving information on the economic and social situation in local fishing communities, and their vulnerability to changes of the ecosystem caused by climate change. Another aim is the evaluation of existing policies and programs that tackle the perception and adaption of climate change in fishing communities of certain regions in West Africa. The first part of the workshop was a discussion of the questionnaire, including some final adaptions to the local context. This was followed by mastering the work with digital tablets and one day in the field for first trial in real condition. The PREFACE-AWA team uses newly available technology for the questionnaires: tablets equipped with the freely available CSEntry app by Census and Survey Processing System (http://www.census.gov/population/international/software/cspro/). This enables the interviewers to send the retrieved data files per mail shortly after each interview, leading to the immediate creation of the database and thus avoiding the delay typically caused by manually extracting the data from paper questionnaires. PREFACE-AWA interviewers train on the socioeconomic survey (Photo credit: Patrice Brehmer). 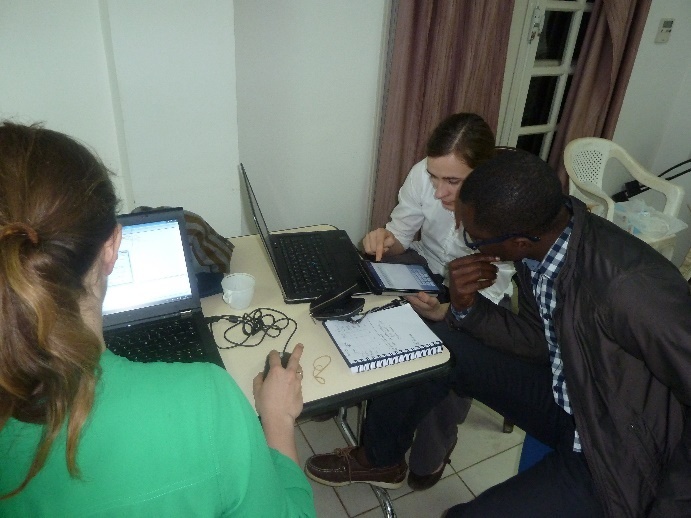 PREFACE-AWA team co-adapts the socioeconomic survey for Senegal (Photo credit: Patrice Brehmer). Content of the survey: 1) The perception and understanding of climate change by those engaged in the fishing industry. This includes local knowledge/observation of environmental change as well as the understanding of the reasons behind these changes; 2) Economic and social situation of fishermen and other stakeholders connected to the fishery. This enables us to study the vulnerability of fishing communities to changes in environmental conditions; 3) Governance issues: existing regulations, their source (governmental or local), and their acceptance in the community. Status: The first round of the survey started immediately after the workshop in March: more than 300 skippers and boat owners in four landing sites (Saint Louis, Kayar, Joal, Mbour) were interviewed. The PREFACE-AWA team reported after this first round that they were “(…) extremely happy with the choice of technology!”. Adama Mbaye (ISRA CRODT) launched and led the second part of the survey. It comprised of artisanal fishermen, retailers and processors as well as focus group interviews and the landing sites were extended to Dakar and Foundiougne. The preliminary results were presented at the ICAWA2015. The whole survey was carried-out and completed from March to May 2015 and the data has been analysed. “We are happy that the response rate was high and the data seems to be of good quality overall” (PREFACE-AWA team). The survey in Cape Verde forms the second partition of the PREFACE WP13 survey package on the West African Atlantic fisheries. 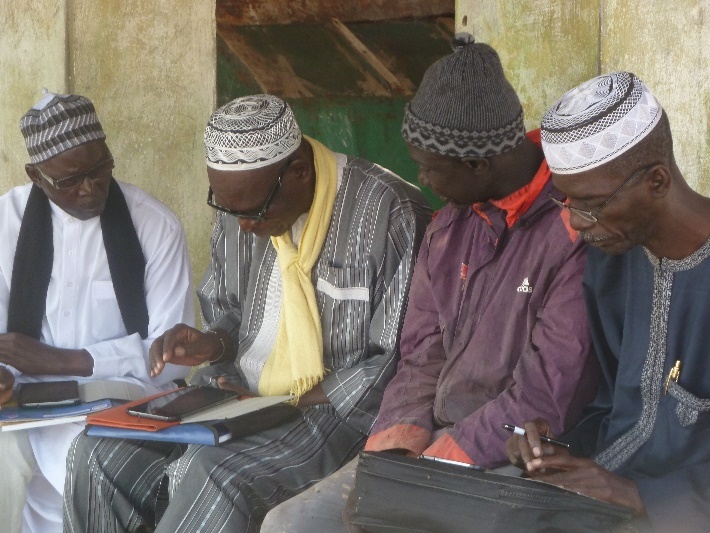 The survey was adapted in a similar way to the Senegalese survey, through 2 workshops with interviewer teams in September and November 2015. 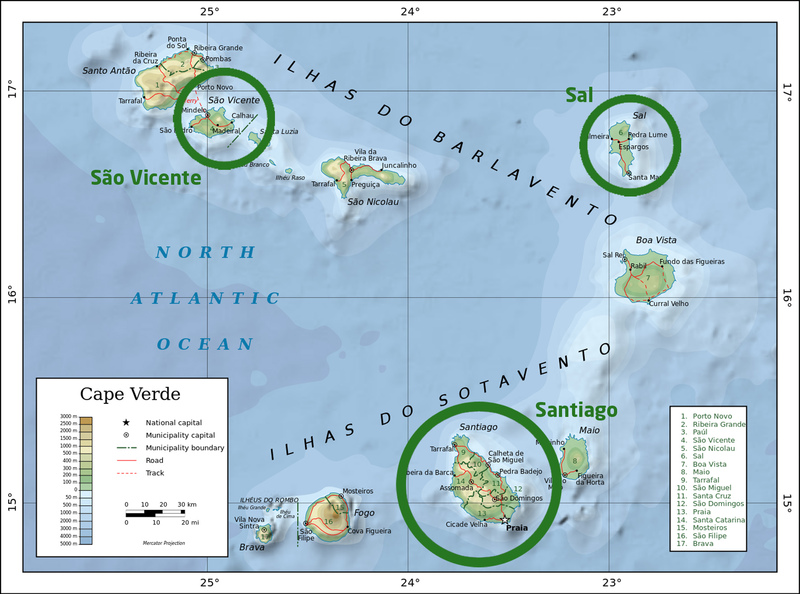 Visits were done to fisheries communities by INDP staff at the islands of São Vicente, Sal and Santiago before application. The aim of the planned PREFACE survey was communicated, and input retrieved on climate changes and the possible consequences of climate change on the communities. The survey covers fishing communities on the 3 above-mentioned islands and 3 sectors: artisanal fisheries, industrial fisheries and retailers. The questionnaire was also shortened as a result of experienced gained during the survey in Senegal. While the survey was carried out in Cape Verde (December 2015 to March 2016), the adaptation of the base questionnaire to Nigeria started. Additional funds were required to perform a survey in Nigeria, hence the development of the corresponding questionnaire was delayed until autumn 2016. A reconnaissance survey on the marine fisheries sector in Nigeria was performed in September 2016. The results were used to adapt the questionnaire during a workshop held in Kiel, Germany in October 2016. The questionnaire for Nigeria was completed in October 2016. Whereas the questionnaires for Senegal and Cape Verde were developed using tablets and the Census and Survey Processing System (CSPro, US census Bureau), the survey in Nigeria was developed in Survey Solutions (World Bank), a recently developed software that facilitates remote maintenance of the questionnaire and a better administration of interviewers. Status: The survey in Nigeria was completed in March 2017. Data treatment and analysis is currently underway. As part of the analysis of the prey field dynamics of oceanic top predators in PREFACE WP12 and follow-up of the survey WH375 (12.06-20.07.2014), the WH383 was conducted from 02.03-24.04.2015. These surveys provided information on seasonal dynamics of mesopelagic prey fishes (same stations-different seasons, WH375 as summer and WH383 as spring survey) which was compared to the historical data compiled in the database (PREFACE Milestone 38)) in order to analyse long-term changes (all stations refer to historical sampling locations). Sampling was carried out on 5 stations in 2014 and on 18 stations in 2015. Sampling at low latitudes carried out at 21.5 °W to 24°W allows to also use PIRATA data to understand changes in the environment. One station sampled in 2015 was CVOO (Cap Verde Ocean Observatory), with long-term information on ocean dynamics available in addition. In accordance to the historical sampling protocol, night-time fisheries was carried out from the surface down to 700 m. Fisheries sampling was accompanied by zooplankton and nutrient sampling, CTD casts, hydro-acoustics, LADCP recording (only 2015), and micro-zooplankton sampling (only 2014). Both fisheries and plankton nets were equipped with multiple opening-closing devices to allow for depth stratified sampling. In total, sampling effort was 88 days-at-sea for both cruises. During a stay in Dakar (Senegal), students of the Cheikh Anta Diop University Graduates Program had the opportunity for a 1-day excursion to coastal waters, providing them with training in fisheries and zooplankton sampling techniques and with material or a further laboratory course at UCAD in March 2015. From the 8th to 19th January 2015, the Senegalese research vessel RV Itaf Demé conducted its seasonal pelagic survey to assess the main small pelagic stocks at national level, in connection with two EU projects: ADUPES and PREFACE. During this survey, led by Abdoulaye Sarré (ISRA-CRODT) and Patrice Brehmer (IRD), besides biological data collected from trawl sampling and bi-frequency (38-120 kHz) acoustics observations, physical measurements were made (CTD probe) regularly over the continental shelf as well as bongo net sampling (zooplankton), pH measurements, conductivity, nutrients (PO4 ; NH4, NO3, Si), and a collection of wind direction and speed every 30min along the vessel transect. This 2015 acoustic data will serve to complete the FAO EAF Nansen dataset which starts from 1995. 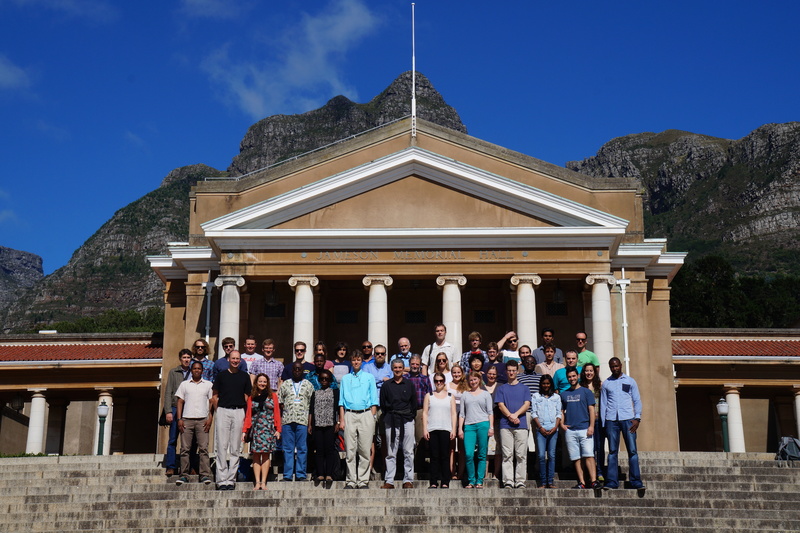 The Nansen Tutu Summer School on “Ocean, Climate and Marine Ecosystem: A focus on the Agulhas Current, the Benguela upwelling system and the Tropical Atlantic” was held at University of Cape Town from 1st to 8th of December 2014 and was hosted by the Nansen Tutu Center for Marine Environmental Research. 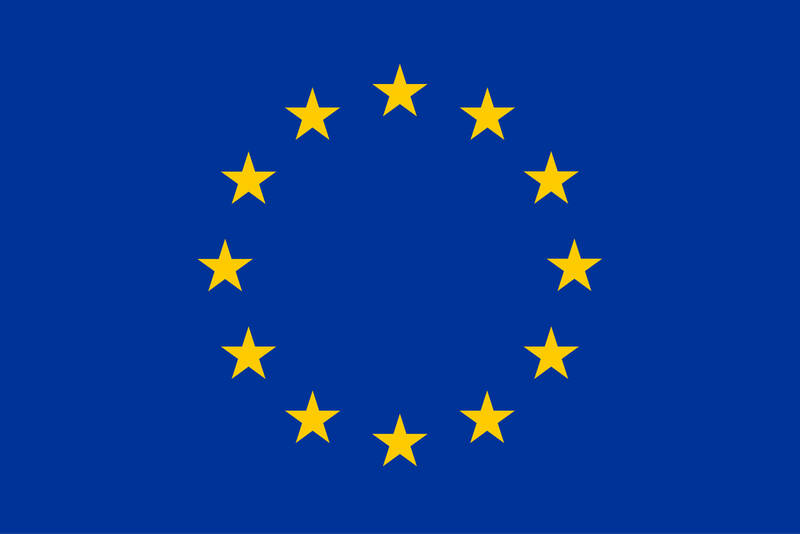 Sponsors included the EU FP7 PREFACE project, the Research Council of Norway (KLIMAFORSK program, project n. 233680), the Norwegian RESCLIM project, the German SACUS/SPACES project, CLIVAR, The Nansen Scientific Society and the Nansen Tutu Center. Among various topics, the school focused on Agulhas Current, the Benguela upwelling system, Tropical Atlantic and dealt with field observations, satellite remote sensing, modelling and climatology. 32 students from Europe and Africa attended lectures given by 25 African and European scientists. Students came from Angola, Namibia, Madagascar, Mauritius, Ivory Coast, Cameroon, Democratic Republic of Congo, South Africa, Norway, Germany, China, France, Spain and Netherlands. Social activities facilitated interaction between students and scientists, all housed under the same roof at the All Africa House on campus. The weekend activities included a visit to Robben Island where President Nelson Mandela was held prisoner for 20 years and a day trip around Cape Peninsula all the way to the Cape of Good Hope. One of the highlights was to spend 3 minutes of silence with all of South Africa to commemorate the anniversary of the death of President Nelson Mandela in 2013. Lectures, program and photos are available on the summer school web site: here. For a high resolution of this events main photo, click here. 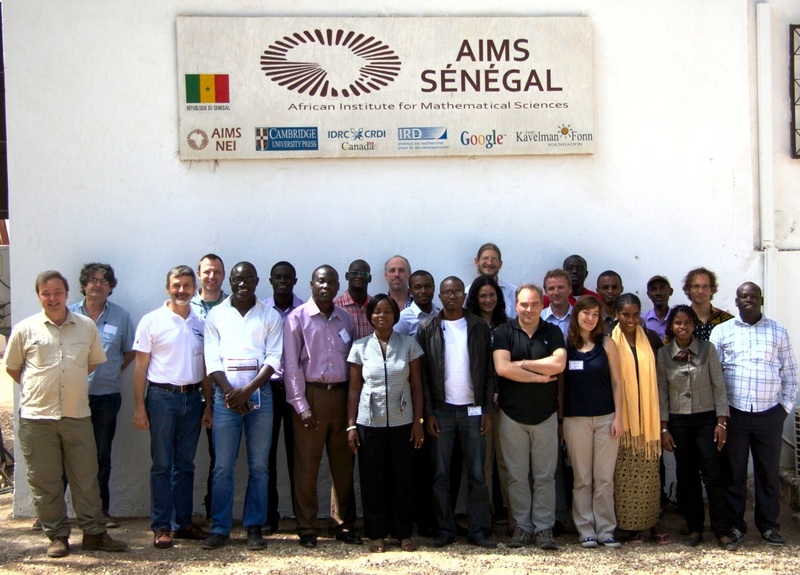 A PREFACE-AWA side-event was led in Mbour, Senegal, during the workshop on “Mathematical tools for understanding and managing fisheries: synthesizing and refining data and models”, 7-9 May 2014 at AIMS (African Institute for Mathematical Sciences) – Senegal centre. Numerous members of PREFACE CT5 and the AWA consortium, including at least 10 future students, lectured or participated. The discussion focused on PREFACE WP13 and the strong links with AWA tasks in order to establish an agreement (MoU) between both projects. The AIMS workshop was the second event in this line, the first having been a 1-day international workshop on “Socioeconomic impact of climate change in West Africa: insight from modeling and questionnaires”, held earlier that year on 17 February 2014, at the Sub-Regional Fisheries Commission in Dakar, Senegal. View Proceedings of the workshop. 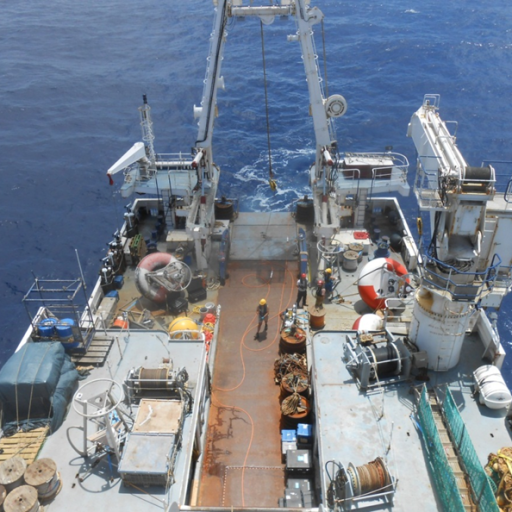 Four PREFACE teams have been joining efforts in order to measure the main oceanic parameters along the 14°42’ parallel between Cape Verde and Senegal, where the warm bias likes to develop seasonally. Two gliders met on 27 March 2014 in the midst of that year’s open ocean upwelling season in order to synchronously monitor the hydrology of the section between Cape Verde and Senegal. The two gliders managed to observe their half sections in about three weeks. One glider, dedicated to the eastern side, was monitored by Nicolas Kolodziejczyk and Alban Lazar together with a franco-senegalese group of researchers (LPAOSF), and is part of the PREFACE CT2 activities. The western side glider is monitored by Gerd Krahmann and Florian Schütte of GEOMAR, Kiel/Germany for PREFACE’s associate partner, the AWA project, in collaboration with colleagues from INDP, Cape Verde. (05.03.2014) Seven PREFACE scientists, Patrice Brehmer -also co-coordinator of AWA- and Eric Machu (IRD), Xavier Capet (UPMC), Salaheddine El Ayoubi (INRH), Abdoulaye Sarré and Mor Sylla (ISRA/CRODT), and Bamol Sow (UCAD/LPAOSF – UACZ) are currently on-board the RV Thalassa (IFREMER), on a survey organised within the German-French-African project (AWA)-“Ecosystem Approach to the management of fisheries and the marine environment in West African waters”. The purpose of the survey is to study the pelagic habitat of the Mauritanian and Senegal-Gambian coasts to improve our knowledge on how the ecosystem functions and thus better understand the issues related to climate change and their impact on the pelagic species populations. The survey begun at Las Palmas (Spain) on 25 February 2014 and will end in Dakar (Senegal) next week (13.03.2014). For the occasion, the Sub-Regional Fisheries Commission (CRSP/SRFC), together with IRD, have organised a visit on-board Thalassa, to which the Ambassadors of Germany, Belgium, Cape Verde, the Gambia, France, Guinea, Guinea-Bissau, Morocco, Mauritania, the Netherlands and Sierra Leone are invited. The deployment of a new ADCP mooring at 0°E-0°N, that is a commitment of PIRATA-FR towards PREFACE (MS15); such a mooring will allow current measurements at three longitudes along the equator. The ADCP moorings at 10°W-0°N and 23°W-0°N were serviced in 2015, respectively in March during PIRATA FR25 and in October during the survey lead by GEOMAR. The servicing of the PIRATA/PREFACE ATLAS buoy at 6°S-8°E, off Congo, that is also a commitment of PIRATA-FR towards PREFACE (MS8). The deployment of two new PIRATA T-Flex systems at 23°W-0°N and 10°W-10°S, that will progressively replace the ATLAS ones. The servicing of the 3 other ATLAS sites at 0°E-0°N, 10°W-6°S, and 10°W-0°E. The servicing of the CO2 parameters sensor installed at 10°W-6°S from 2006 (also component of the EU H2020 project AtlantOS WP3.5). 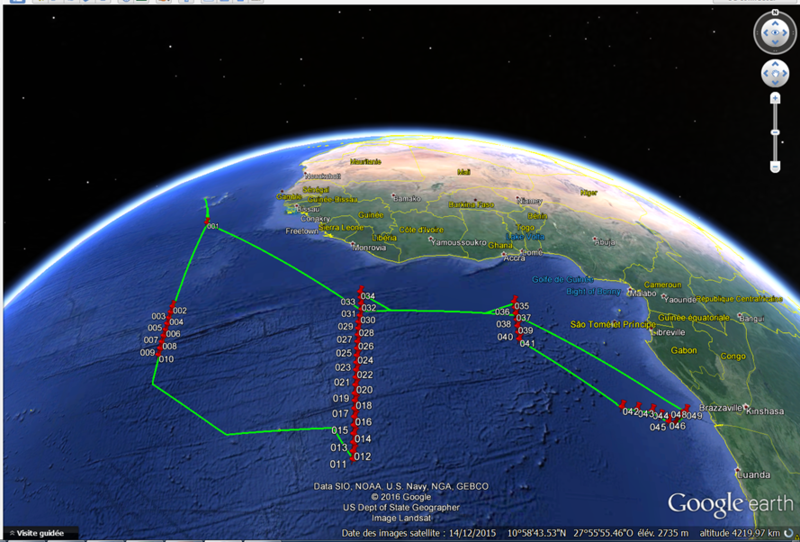 The deployment of 15 surface drifting buoys (SVP-B), as contribution of MF-CNRM to the AtlantOS WP3.6. The deployment of 6 ARGO profilers (also as contribution to CORIOLIS), three of them with double programming (so allowing some profiles every two days during three months from the surface down to 300m depth). The servicing of turbulence sensors (Xpods), installed from 2014 at 23°W-0°N and 10°W-0°N (5 on each mooring between 20m and 80m) (collaboration with Oregon State University, Corvallis, USA). 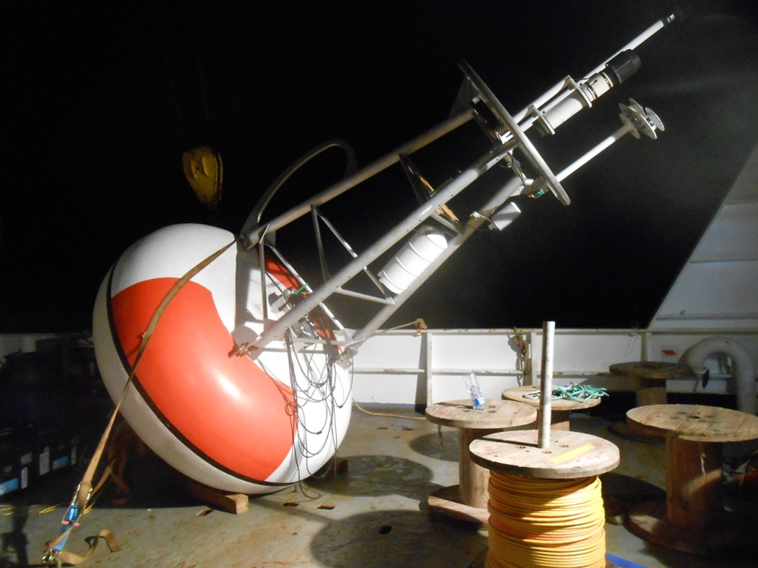 The servicing of acoustic receivers (OTN), installed from 2014 at the PIRATA buoys (one per site) (collaboration with Dalhousie University, Halifax, Nova Scotia, Canada). 50 CTDO2-LADCP profiles (from the surface down to 2000m depth; so useful for ARGO profilers validation) every 1/2° (latitude/longitude) along 23°W, 10°W (done yearly), 0°E, and 6°S (around the ATLAS buoy at 6°S-8°E). Data transmitted in quasi-real time to CORIOLIS for operational centers. 70 temperature profiles (XBT) during transits. Data transmitted in quasi-real time to CORIOLIS for operational centers. 615 sea water samplings (at the surface and during CTDO2/LADCP profiles) to analyze salinity, dissolved oxygen, nutrients, carbon parameters (DIC et TA) and primary production (pigments). Acoustic measurements (EK60 sounders: 6 vertical and one transversal) all along the trackline of the vessel and, if possible, to proceed to plankton sampling (from the surface down to about 200m) with a « bongo » net at the ATLAS sites. Continuous measurements, all along the trackline, of the sea surface temperature and salinity with the thermosalinograph, fluorimetry and meteorological parameters. A very warm congratulations to PIRATA; Bernard Bourlès, chief scientist for this mission; the scientific team on-board and the R/V Thalassa crew (GENAVIR & IFREMER), particularly Fabrice Roubaud and Jacques Grelet, the IRD electronicians who ensured the deployment of the T-Flex systems; and of course to NOAA and PMEL for this technical evolution. 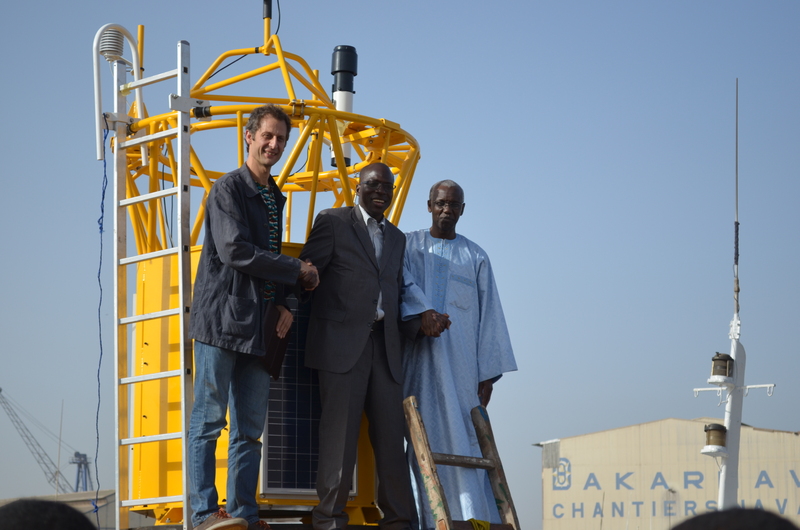 On 26 January 2015, and with the main support of PREFACE, an oceanographic and meteorological buoy was deployed, aimed at scientific research and operational environmental monitoring, dedicated to the important area of the Senegal-Mauritania upwelling. This buoy is the first measuring buoy launched as part of a flagship project involving several PREFACE beneficiaries and associate laboratories across West Africa -notably the Joint International Laboratory ECLAIRS (UCAD / IRD / UPMC)-, and aiming towards the deployment of a network of measurement instruments capable of continuously informing researchers on short and long term changes in climate, atmosphere and the marine environment off the West African coast*. Unique in this sub-region, this buoy’s sensors are able to give real-time information to scientists around the world about the development of climate off the West African coast: surface winds, solar radiation, humidity, precipitation, ocean temperatures, salinity, and currents at various depths. These valuable and freely available data are expected to enable the scientific community to build new predictive models for studying climate changes and to better understand the interactions between the ocean and the atmosphere off the African Atlantic coast. Most measurements are to be relayed by satellite in real time to the ECLAIRS laboratory control centres, and to those of the international meteorological monitoring centres. Scientists will exploit them to understand and predict the disturbances of the West-African marine climate. More information on this presentation of Melax (EN, FR). Inauguration of the MELAX buoy. With the framework of the COP21 events, the University of Cape Verde (Uni-CV), INDP, IRD and the French Embassy in Cape Verde organised a 1-day conference on “Ocean and Climate in Cape Verde” at INDP, Mindelo on 20 October 2015. The event was well attended and provided many fruitful discussions. It was later the object of a broadcast on the TCV: watch broadcast (in Portuguese).